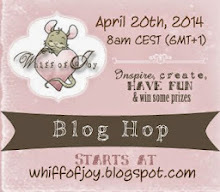 Welcome to the June Whiff of Joy Blog Hop! 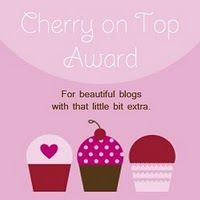 If you didn’t come here from the lovely KARINA'S blog, then head on over to the start of the hop at Whiff of Joy World of Ideas Blog. I don’t want you to miss a single stop on this hop! 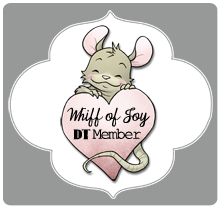 This month, Whiff of Joy has new images, die-lights, charms and even a brand new line to share with you! Our new Happy Mail collection was designed by both Alison Acton and Gina Elerion. We know you love our English sentiments so now, each stamp comes with its’ own free matching sentiment. Now, it is even easier for you to create a meaningful card for that special someone! AND we could hardly contain our excitement over our brand new line of stamps: Free Spirit by Alison Acton. This line is bold and spirited, full of grace and a yearning to live life to the fullest! We are introducing the first two images and hope that you will love them as much as we do. This month, we are giving away one stamp, one die and the charms from this release to one very lucky winner. The winner will be drawn from the comments on our DT blogs. At the end of the hop, go back to the Whiff of Joy World of Ideas Blog, let us know that you have left a comment at each stop of the hop by using the inlinkz tool and you will be entered for a chance to win! A complete list of the hop is also at this blog, just in case you get lost along the way! The hop will remain open until midnight CEST midnight Friday June 14th. Winners will be announced on the Whiff of Joy World of Ideas Blog. 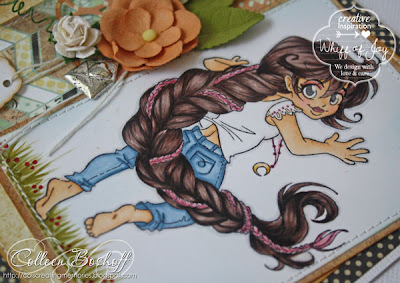 I have used one of the new delightful 'Free Spirit' images 'Girl's Rule' and if you love to colour hair then this cutie is perfect for you, she has a gorgeous braid to colour! The doily is a new Whiff of Joy Die-light release this month, 'Elegant Doily' and the heart envelope charm is Whiff of Joy's 'Taking a Note' charms. The papers are Basic Grey 'Serenade', flowers are Wild Orchid and some bits and pieces from my stash. 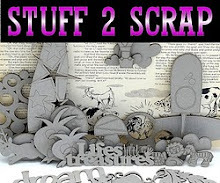 This stamp comes with four sentiments, they are great for cards, even smash books and scrapbooking! Beautiful creation. Love how you colored her hair. Such a lovely Card and Image - sooo cute! Thank you very much for the Chance to win! Wow Colleen your card looks so wonderful and the new image is so fantastic. wow, you made such a lovely card with the new stamp. I really love it. I love how you colored the image and the flowers you used on the card. What a wonderful card! Great job!!!! It´s lovely card, and wonderful creation. So pretty Colleen. Love her hair! Wow, your card looks fabulous. I love the perfect colouring and the design of your card. Your card is gorgeous!! The colouring is amazing!! Wow, her hair is stunning. Love your colouring. Lovely card with a beautiful doily. The new images are super. Awesome card and gorgeous coloring on it here. Great new image, that´ll be great for sooo many things, I think. Wow - your card is gorgeous!! Love the coloring too!! Die neuen Produkte sind umwerfend. Deine Karte ist sehr schön. Beautiful card! Love all the embellishments and your fabulous coloring! Beautiful and warm feeling. The doily in the patterned paper is awesome. Wonderful coloring and card Colleen! What a stunner Colleen! I love how you colored her hair. Super Klasse die Coloration des Haares,wie auch die Gesamtkreation deiner Karte - nicht zuviel und nicht zu wenig. Die neue neue Stanze gefällt mir auch sehr gut und fügt sich perfekt in deine Kreation ein. A very beautiful card. I like a lot this cute girl! Thanks for the possibility to win this fabulous goodies!!! Beautiful card!! You've colored the hair wonderful! Eine tolle Karte. Sehr schöne Farben. 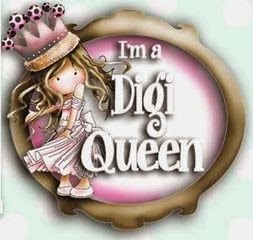 Love this cute new stamp and your take on it is absolutely stunning. Love your coloring and the detail with the little charm. love the coloring of her!!! That charm is super cute! !